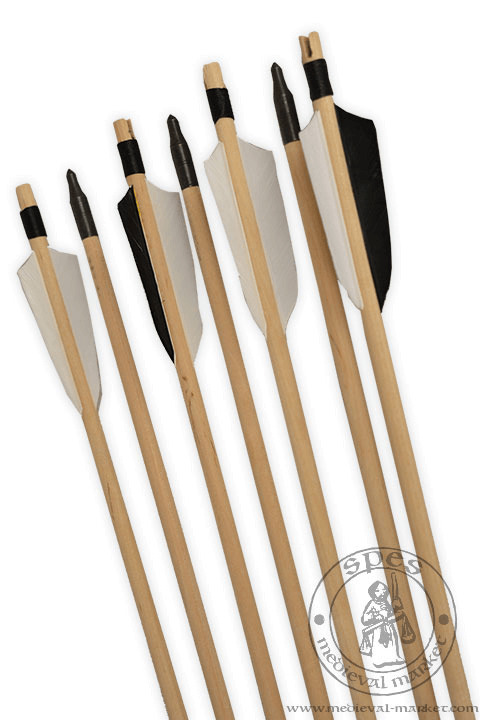 Tournament arrow. MEDIEVAL MARKET - SPES. 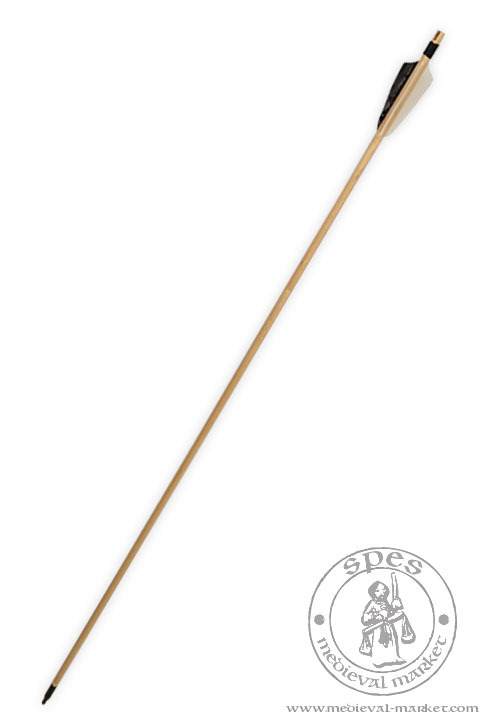 Wooden arrow, shaft made of spruce timber. Ended with metal, lathed arrowhead. Fletching is made from natural bird's feathers, coloured.